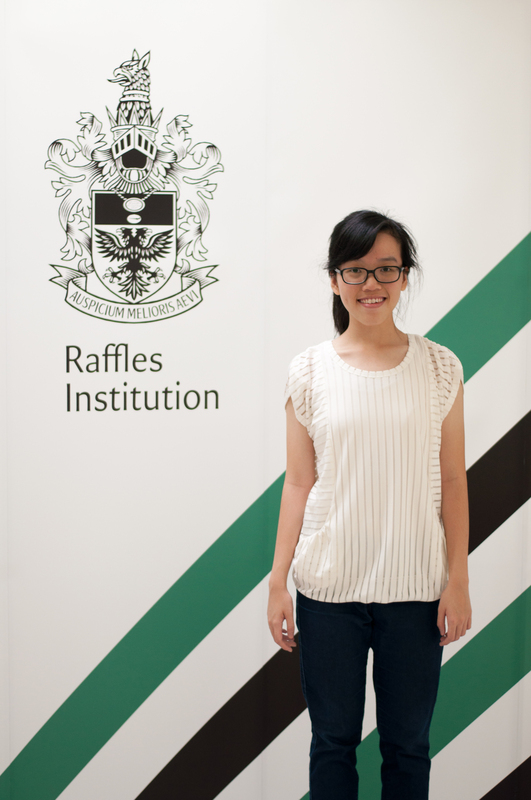 In the second instalment of this feature, we introduce more inspiring Rafflesians from the graduating batch of 2013. At first glance, Loh Jia Wei (13S03C) already looks to be someone who has to overcome all odds to become who she is today. Despite her muscular dystrophy and having to use a wheelchair in her daily life, she has worked consistently in order to achieve a set of results that would make her parents and teachers proud. However, there is so much more to Jia Wei than her academic proficiency and the pain she has withstood over the years from a previous operation. An avid reader of non-fiction, as well as a learned member of the Astronomy Club, she has spent her time in RI exploring her academic interests, leading her to discover her true calling as a law student after one particularly thought-provoking civics lesson. Since the A levels, Jia Wei has been taking up law internships to gain experience in this new field of work, as she plans to study law abroad in the near future. When requested for some words of wisdom regarding the arduous road to this year’s A levels, Jia Wei advises that current Year Sixes, “really just work consistently, (and) don’t leave everything to the end.” In her experience, life after JC is drastically different, and so enjoying JC life while you can is an important factor as well! A proficient marksman, Herman Lin Yao Ahmad (13A01C) was a member of the 2012 National Youth Team and captained the school shooting team. Athletic passions aside, Herman was also an active member of the Community Advocates and was involved in flagship campaigns such as No Shoes Day and Hair for Hope. He also engaged in ground-level work by spending a few months to provide tuition to those in Girls’ Homes. When asked about how he managed to cope with what must surely have been a daunting workload, Herman said that “Freedom is doing what you love, and happiness is loving what you do.” He felt that by having chosen to join CCAs that he felt passionate about and enjoyed participating in, his JC life was rendered more manageable. As for his future plans, Herman hopes to gain an opportunity to pursue his education in the United States. He feels that American universities provide a more conducive environment for one to engage in self-reflection about themselves and their future. Extremely passionate about serving the community, Josiah (13S07A) received the pinnacle award in Boys’ Brigade known as the President’s Award despite being hearing impaired. 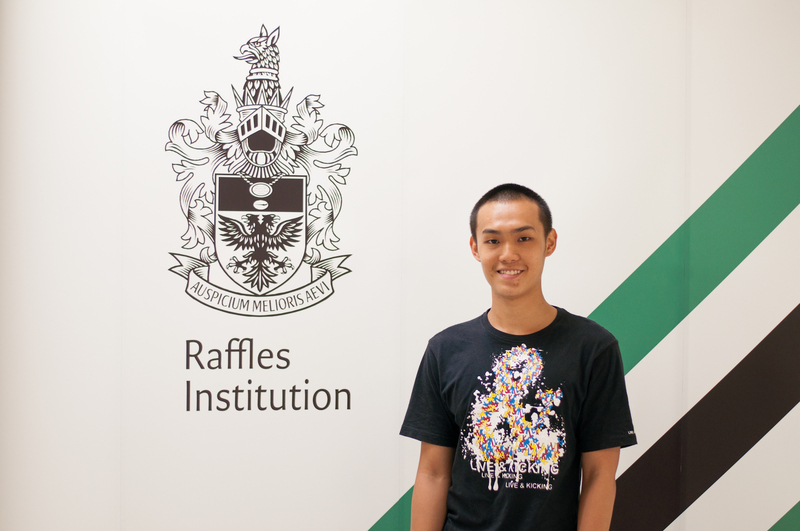 In addition, Josiah earned a distinction in the Community and Citizenship Domain of the Raffles Diploma, and was also a member of the Raffles Entrepreneur’s Network (REN). Gerald Lim (13S06O) doesn’t fit a typical high-achiever mold – he’s a self-declared ‘disorganized mess’ who doesn’t plan his time or own a calendar of any kind. His results, however, tell a different story. 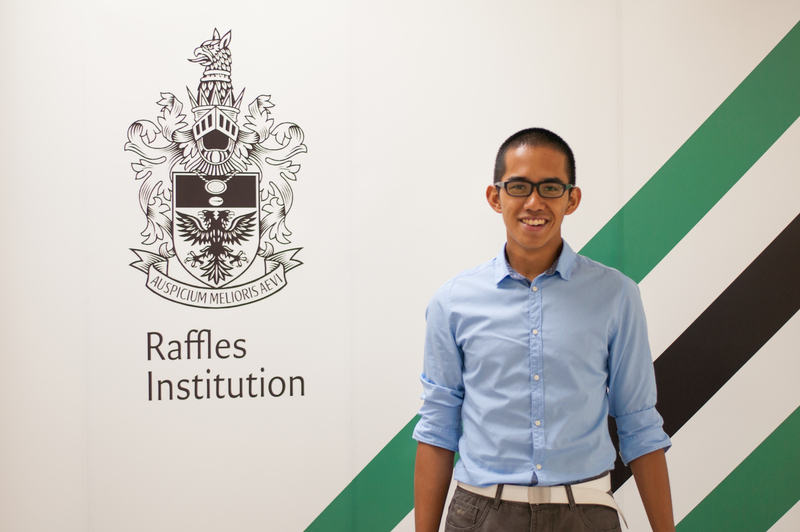 A member of Community Advocates (CA) and a participant in the Chemistry Olympiad, Gerald has managed to achieve a Merit in both the Cognitive and Leadership domains of the Raffles Diploma. Gerald tells us that he studied during any free time he could get, earnestly sharing that even a short 10 minutes of studying is useful. Additionally, Gerald attributes his academic success to his good friends, who encouraged him by giving him moral support, as well as his teachers, who were ever-helpful during consultation periods. He feeds off the energy and encouragement of the people around him, citing his parents and friends as sources of inspiration for him and his studies. Joining RI at Y5 from Bukit Panjang Government High, HP student Loo Jun Da (13A03A) maximized his 2 years in JC with both academic and non-academic endeavours. He participated in canoeing, and served in the Grassroots committee as an external commitment. Jun Da cited his supportive, close-knit classmates as the key to coping with his immense workload, which involved taking H3 Geopolitics. 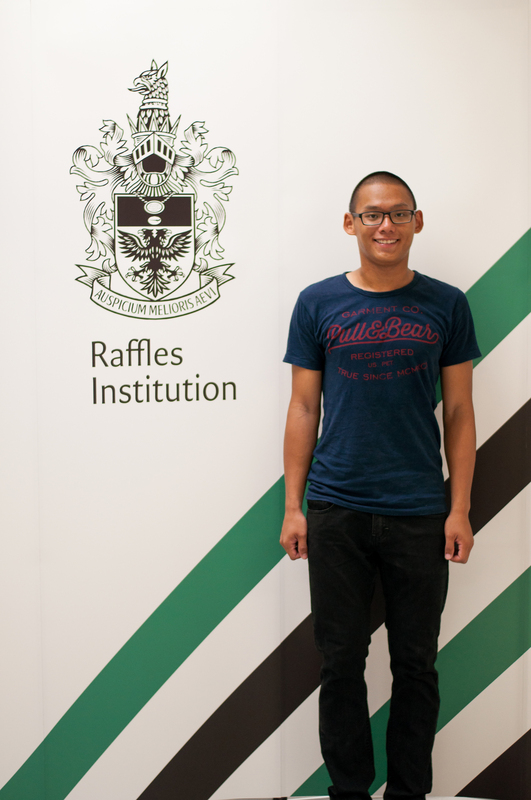 While he managed to relax in his spare time by running at MacRitchie and watching movies, Jun Da remained driven to continue bettering himself academically. One inspirational quote he derives meaning from is “Even if you’re on the right track, you’ll get run down if you don’t move forward.” Despite being blessed with a quality educational environment here in RI, neglecting the importance of constant self-improvement can be a fatal mistake. To those currently studying in RI, Jun Da recommends progressing by taking things one step at a time rather than mulling over a whole array of responsibilities, which could eventually result in unproductive procrastination. 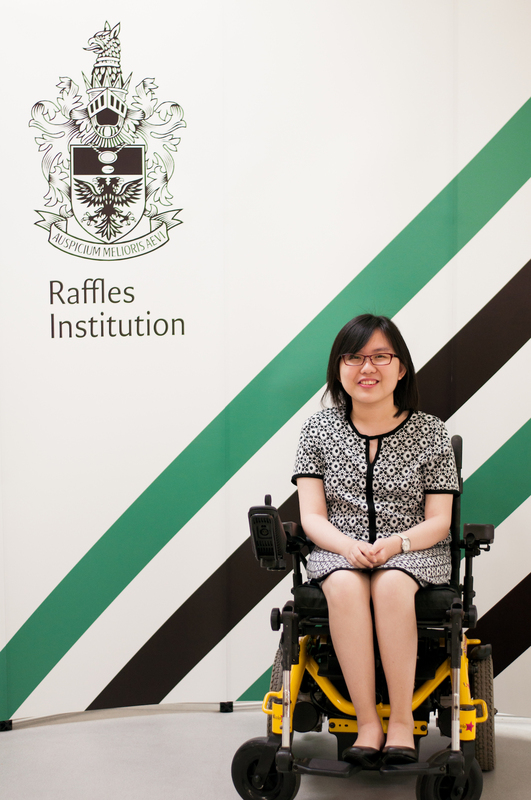 Lim Min (13A01B) willed herself to continuously stretch her potential through the support she received from teachers, friends and fellow classmates, as well as her own determination to excel in her studies. While in JC, Lim Min benefitted from the many cultural activities and overseas trips organized by the Humanities Programme, and had the invaluable opportunity to connect with other “like-minded people who were up for intellectual discourse”. She joined RI as a JAE student from Crescent Girls’ School, and in her two years here became an active member of both HISSOC and Community Advocates. In one particular collaboration with a group of Hwa Chong students, Lim Min helped to pioneer Project Feedback, which involved fundraising to raise awareness for world hunger. Meanwhile, post A-levels life has seen Lim Min picking up Malay as an additional language and even making plans to open her own graphic design business – heartening evidence that she will continue to grow and learn even after leaving RI. To the current Year 5s and 6s, she leaves the advice of pacing yourself rather than rushing your studies at the last minute, as well as making full use of the plentiful resources available in RI. 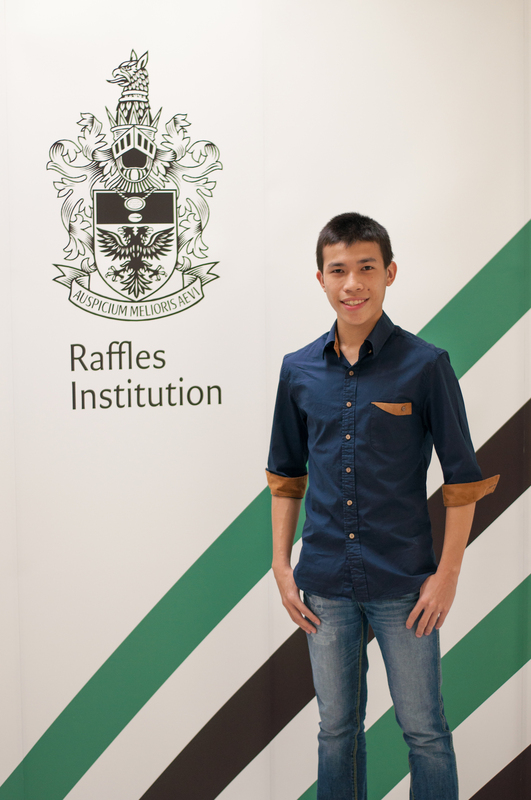 Jun Yan (13A01A) served as Chairman of Raffles Debaters in RI (Year 1-4) and President of Raffles Press in RI (Year 5-6), and has further made use of his abilities to aid others around him. With a team of friends, Jun Yan organized a “Singapore Conversation” at Northlight School to help other students gain a greater sense of awareness of our national issues, and was also a member of the team which interviewed former drug addicts to help produce a book for SANA. 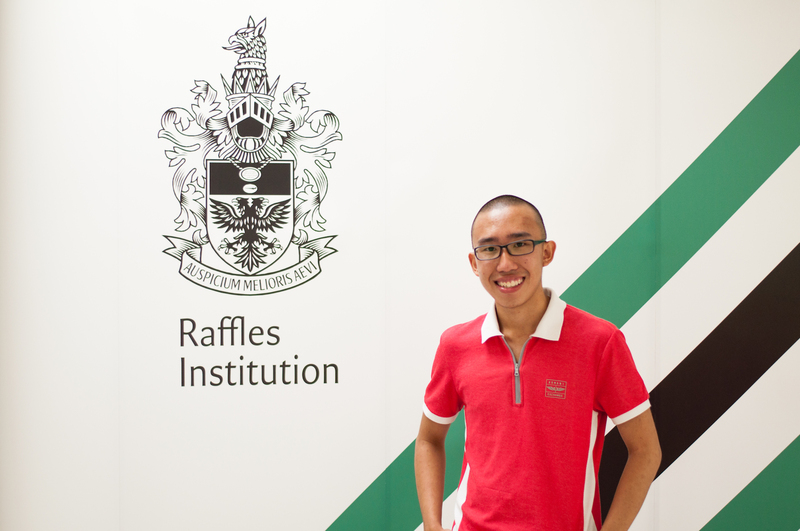 Looking back on his 6 years as a Rafflesian, Jun Yan reflected that Raffles taught him to start something new, to make and learn from mistakes, and to manage people’s expectations and demands, as well as the meaning of camaraderie and friendship, especially during the final phase of A-level preparation. 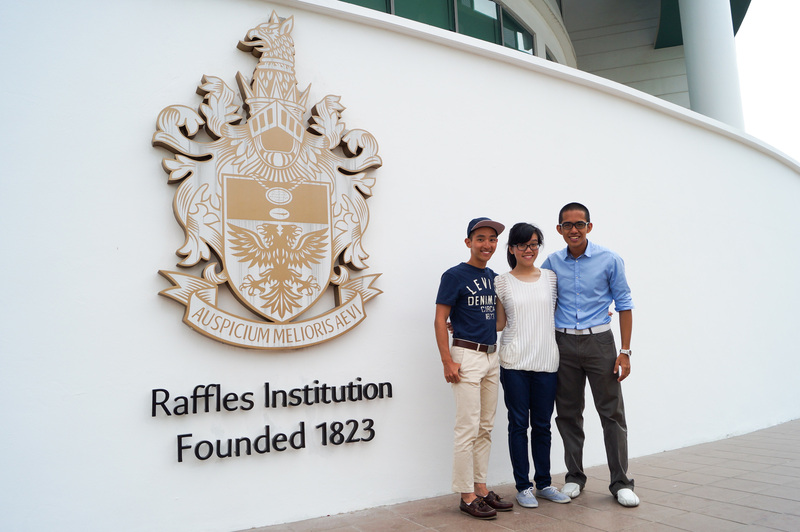 Comparing life in Raffles to that in the army, he says that it was initially tough as he “missed the lack of freedom”, but went on to say that life is not as bad as people make it out to be, as everyone has a different, unique experience. Han Jie (13S03D) was a passionate sportsman, having captained the RI softball team to Gold at the 2013 National Inter-School Softball Championships and represented Singapore at the World Junior Men’s Softball Championships in Argentina in 2012. Not only that, Han Jie actively served both the local and international community, having volunteered at the AMK Child Care Centre, and rendered aid to needy Cambodian citizens as part of ISLE 2012 by collecting rainwater to alleviate the sanitation problems there, among other things. When further asked about how he was able to handle so many commitments, Han Jie had this to say: ”The key to succeeding is to know how to prioritize your commitments. When it is time to study, you study hard. When it is time to play and train, you play hard and train hard. 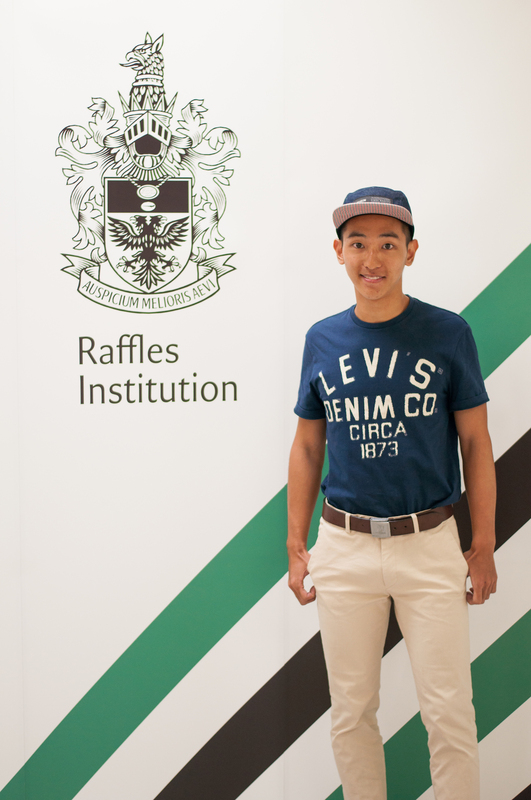 When you do something, do your best, or don’t do it at all.” Evidently, this mantra has helped Han Jie succeed, as seen from his South Zone and National Colours Awards in 2012 and 2013, as well as his Raffles Diploma with Distinction in Sports.